Now that the holidays are behind us it’s time to start thinking about a resolution for the new year. What better way to start off a fresh year than by becoming healthier. Don’t worry, you don’t need to plan on committing to running numerous miles each day or completely cutting out delicious snacks or munchies from your daily regimen. Instead, consider trying different detox recipes for foods or drinks that you might like and cleanse your system to become healthier that way! 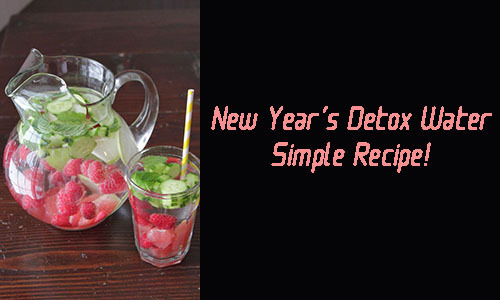 Our simple New Year’s detox water recipe only takes a few minutes to prepare and tastes great. The ingredients inside this beverage are extremely healthy for you and can even offer fabulous extra benefits like weight loss. 1) Combine all ingredients above into a pitcher. 2) Allow the ingredients to infuse and then chill in refrigerator for 1-2 hours. 3) Pour and enjoy throughout the day! 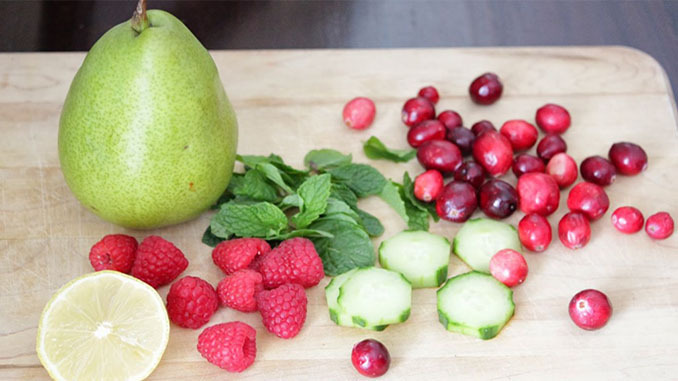 You can see how healthy this detox water just by simply looking at the ingredients above. Raspberries are rich in vitamins, antioxidants and fiber which means they can help in preventing cancer. Also, grapefruit is ideal for those with high blood pressure or heart problems. That’s because grapefruit contains fiber, potassium, lycopene, vitamin C and choline. Cucumbers play one of the largest roles in the detox process. They keep you hydrated, suppress appetite, flush out toxins and can also prevent cancer. Make this recipe to enjoy all of the different health benefits our New Year’s detox water offers!